Those turn-by-turn directions are about to get a whole lot more intense. Variety’s Shelli Weinstein reports Brooklyn Nine-Nine’s Terry Crews will make a special cameo on your next Waze venture. The Variety reporter reminds this is the second foray into Hollywood partnerships for the navigation app, welcoming Kevin Hart as part of Ride Along’s promotional push. In this case, Crew’s voice will possibly help Waze garner more usage and Fox more publicity as we inch closer to the season premiere of Brooklyn Nine-Nine on Sept. 28—a show that features crews as Terry Jeffords. Now this is particularly grand news in my household, because the app and the actor are held in high esteem. 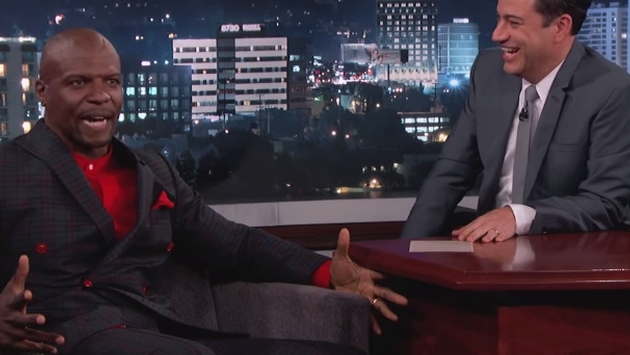 Crews was also on Jimmy Kimmel’s show recently, expounding on his other passion in life. Now I had to of course set my app to Terry Crews and ride around the block, which is something I now recommend. It’s nearly like having Crews ride shotgun in your own car. The best part is we don’t feel so lonely or nearly as pathetic ordering two hamburgers at our next drive-thru excursion. For the foreseeable future, we will proclaim, “Whoa, where are you taking me Terry Crews?” every chance we get.